We are only days away from November which is the perfect month to place focus on being Thankful and use family activities to teach our kids about showing gratitude as we countdown the days until Thanksgiving. With these simple ideas you can have fun creating a new family tradition to repeat year after year. - The entire month of November. - 12 Days of Thankfulness ( start 12 days until Thanksgiving with day 12 being Thanksgiving). - Choose the number of days that works for your family. 1. 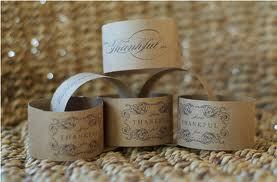 Write daily Thankful activities on slips of papers that you then roll into scrolls and place into a decorated jar. 2. Make A Tree or Turkey out of poster board. Then cut out leaves or feathers and write on each one a Thankful activity allowing your children to choose one each day to do. 3. Number envelopes and fill with slips of paper that you have written daily activities on allowing your children to open one envelop each day. 4. Make a paper chain out of strips of construction paper. Write a thankful activity on each slip of paper. Allow your kids to tear one off each day as they count down. Step 3 - Choose Thankful activities for you and your family to do each day of your Thanksgiving countdown. Below you will find a list I created of activity ideas you can choose from or create your own ideas. Call or send them an email saying how much you are thankful for them. Send them a letter, email or care package to let them know you are praying for them. We are Thankful for our Fire fighters. Policemen, Doctors etc. Deliver a basket of treats to them. We are Thankful for our toys. Clean out your toys and donate to a local shelter. We are thankful for Daddy. Do something nice or a chore for Daddy - Wash his car, take out the trash. Do one extra chore today for her. We are Thankful for our Clothes. Clean out our clothes and donate clothing to a local shelter. We are Thankful for our Sister (s). Write a Thankful note or do a chore or something nice for her. We are Thankful for our Brothers (s). Write a Thankful note or do a chore or something nice for him. Write a note, send an email, bake a special treat for them. We are Thankful for our food. Collect food for your local shelter. We are Thankful for our Eyes. Watch a Movie together as a family. We are Thankful For a Church to go to. Volunteer to help at church this week or sign-up for a project. Start a new book to read together as a family. We are Thankful for our Neighbors. Deliver a treat and note of thanks to their porch - play door bell ditch. We are Thankful we are able to pray. During dinner time prayer have each person pray one thing they are Thankful to God for. We are Thankful for our Country. Decide as a family another way yo will become ECO friendly. We are Thankful we can write. Write three things we are thankful for. Draw names of family members and do a secret chore for that person by tomorrow. We are Thankful for our classmates. Make blessing mix or another treat and give to your classmates. We are Thankful for shoes. Fill empty shoe boxes with items and donate to Operation Christmas Child. We are Thankful for our pet. Take them on a walk, clean their cage, play with them. We are Thankful for our Military. Make a care package to send to them or write a letter. We are Thankful to be Thankful. Make a Thankful box - all year the entire family can write what they are thankful for and then read them next Thanksgiving. Go for a fall drive, visit a relative or friend. We are Thankful for family memories. Start a Thankful journal or scrapbook. We are Thankful we can spell. Spell out the word T-H-A-N-K-F-U-L. go around the table and ask each person to say one thing they're thankful for. The first person's answer must begin with "T." The second person's answer must begin with "H," and so on. We are Thankful for our City. Volunteer for a city clean-up project or other way you can serve your city. We are Thankful for Thanksgiving Dinner. Provide Thanksgiving dinner for a family in need or invite a family to join you. LOVE this! Thanksgiving is my favorite! I think helping our Happy Buddies have a grateful heart is one of the best things we, as parents, can teach them. Really good idea for young moms. Grandparents can get in on this too! Great post, thanks for sharing!